Do we have to know the answer? It rings the bell right away! I forgot that I ever read it somewhere about this, do we need to know the answer for every question we have in mind when life sometimes gives us a challenge to face, when a problem comes, when unpleasant thing happens. I mean for me, there were few times I tried to arrange some puzzles to put in a good composition for the meaning I was looking for. and this one just like, 'aha!'. It happened within two weeks when I was feeling ill accompanied by fever, cough and headache, I could not do much for works or any regular activities. it was really bad flu time for me as far as I could remember since I've grown up. yet, in the last weekend, I could spent some relaxing time watching a light stuff but not that light as it turns out it's fun yet has some reasonable heart-warming and values to our humans world. well, it is subjective and varied from one to another, also depends on how you like enjoying some pop-culture stuff like this. haha. 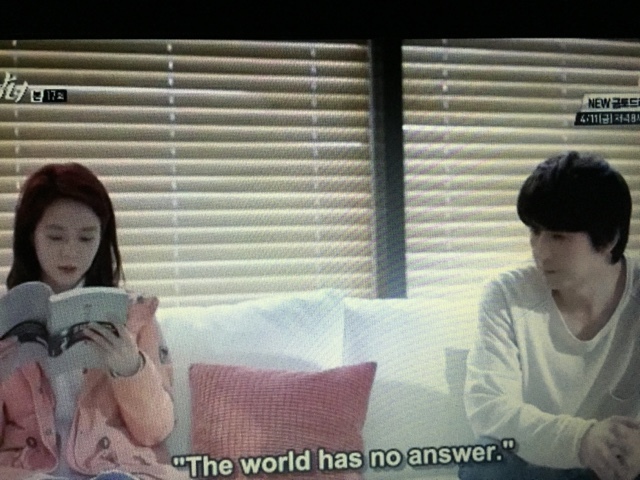 I am talking about a nice quote from one of the scenes in Emergency Couple, Korean drama. the quote is originally from a book that Song Ji Hyo (she plays as Jin Hee) borrowed from Gook Chief, the head of department in the hospital she is working. 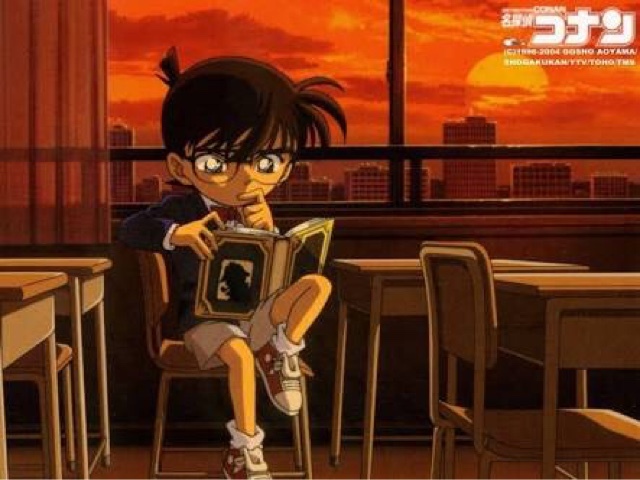 Make it short, and after I googled it further, the book is The Eight Words by a Korean author, Park Woong Hyun. Well said and it strikes right to the heart, honestly. Too true to handle. That's life and mysteries it offers. You work your best on every step and decision you make in life. Let alone the judgements do their favor to stand between your doubts. Just ask Allah and your heart when you decide, then you just do it. Jin Hee was reading the quote in the book outloud to Gook Chief. Well, I am telling you this again what my good friend has quoted it once, If you want to get to know someone, read what s/he reads and writes. That's very true. admittedly, I'm always drawn over people who likes reading and writing. Either when they write about stuff that's new to me or things I could relate to. it always happens. It does. there's someone whose mind and character I am fancy of. we were in the middle of conversation about him telling me he likes to read old books and sometimes he writes too. and now he stopped, I meant, writing. because for reading I still saw him few times when he goes to our University's library and come back with some serious books. He's really something, I know.
" I don't have time..."
"I'm too busy with graduate school, research and my side projects..."
"that's understandable. you also teach, right?" "politics" he answered that firmly and I was like, "whoa, that's... heavy..."
" haha..." he's just laughing hearing my response. "I read some of your notes in Facebook tho"
and we talked more about our reading stuff. I don't even need to explain how happy I am to confirm that we share the same hobby. By the time I get to know him, he's now officially in the list! List of my favorite people. Thank God for such privilege meeting an adamantly thoughtful person like him in my journey. Life keeps many secrets to reveal time by time you walk through the path. Rasulullah bersabda,"Kerjakanlah apa yang bermanfaat buatmu dan mintalah pertolongan kepada Allah. Jangan mudah menyerah dan jangan pernah berkata, kalau saja aku melakukan yang begini pasti akan jadi begini, tapi katakanlah, Allah telah menakdirkan dan apa yang Dia kehendaki, pasti akan Dia lakukan"
Ya Rabb, I feel content now. I'm glad that I found this Reminder of The Day. Alhamdulillah.